I’m a Toronto-based web designer with 15 years designing and building beautiful, usable websites. 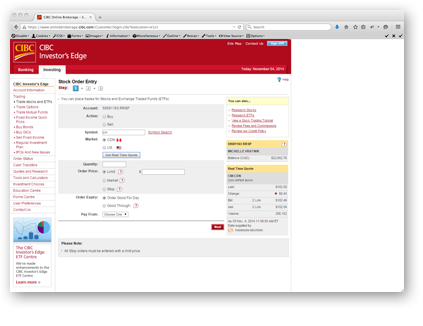 2016 – Led the design and implementation of the new Ontario Teacher's member site. 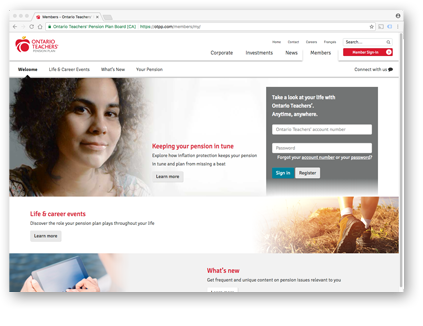 Navigation and brand was integrated with the OTPP website as a whole, and the entire members section, including the transactional site, was rebranded and redesigned. The design is fully responsive, the implementation followed the agile methodology. Full launch in May 2016 was preceded by nearly a year in public beta. The design process incorporated multiple rounds of usability testing, and full evaluation of the IA. 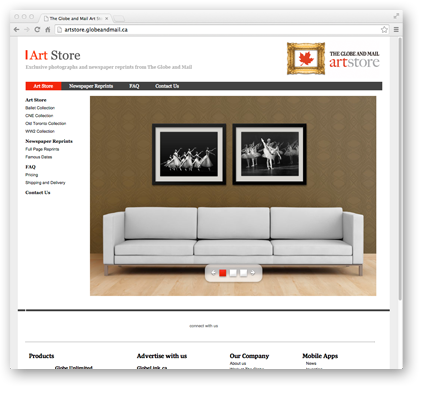 2010 – User experience lead for complete redesign of CIBC Online Brokerage transactional website. 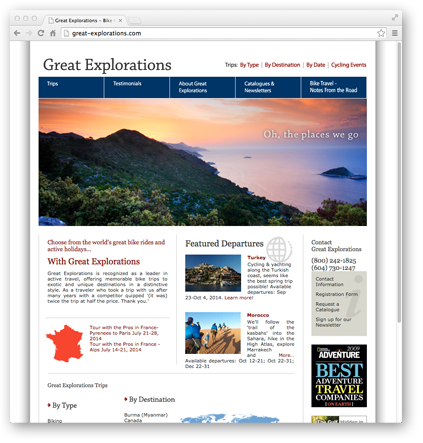 2008 – Designed and built the marketing website for the boutique tour operator, Great Explorations. Great Explorations specializes in active vacations in North America, Europe and around the world. The site is designed to highlight the amazing photographs taken on these tours, while conveying Great Exploration's commitment to excellence.